We have a busy life and we have to keep in mind all sorts of things, both at job and at home. Sometimes we forget something and when you forget someone’s birthday it is very unpleasant. It might be the birthday of a close friend or of a relative or it might be of an old friend you haven’t seen in ages but we want to wish him the best. No matter whose birthday we forget, it’s still unpleasant. We can’t ask that person when their birthday is as we don’t want them to know we forgot it. It’s rude and embarrassing to admit that you can’t remember when someone was born, especially if it’s a close friend or someone from the family. We would also like to avoid asking someone else, because we want to keep our mistake a secret. All we have to do is to try to find out when someone was born. It’s easier than ever to find someone’s birthday online and even look up a person’s age too. Take advantage of internet access and the many websites to lookup a person’s date of birth for free. Start by searching on the birthdatabase.com. It is an excellent resource in trying to find peoples birthday, it is free and it is easy to use. You have to type in the person’s last name, first name and also the age you think the person is. It doesn’t have to be the exact age, so if you don’t know it, estimate it. If the one you are looking for is in the database, the person’s birthday will be displayed. The database of birth records on this site seems to contain mainly older persons, so chances are fewer if you are looking for a young individual, but it’s still worth a shot. Check if the one you are looking for has a profile on one of the social networks websites. If he or she does, the profile is very likely to contain the birth date. Facebook is offering a special service for its users, right on the front page, that alerts you when somebody in your contact list is celebrating his or hers birthday. Make a free account on this web site, include as many people as possible in your friend list and use this widget. You will always know when their birthday is. 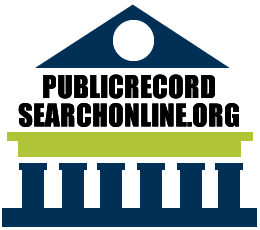 If the one you are looking for is not in the database of birthdatabase.com and doesn’t have a profile on a social networking web site, try to search birth records for someone’s date of birth. This may sound more complicated than it really is because there are some services that perform the actual search for you. Check searchsystems.net or pretrieve.com. and see if the public records on that person also include date of birth. You can also find out where someone was born by checking records for peoples birth place. That will help you look up someone’s birth place, find out how old someone is and find out when a person was born too. These services are not entirely free. You can see what information they retrieved for you, but in order to have access to it, you need to pay a fee.